One our favorite customer websites was custom coded from the ground up by our Dallas design team. Microgrids and Battery Energy Storage Solutions are really exciting. Generating Electricity is only half of the battle, you have to be able to use it or store it. 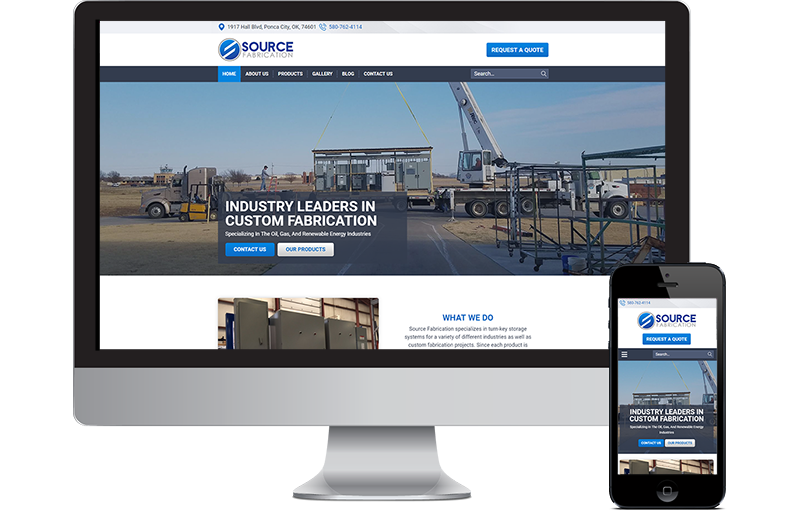 SourceFab.com in OK builds fantastic Battery Storage Buildings used in BEES and MicroGrid applications. Like all our websites this site was build from the ground up starting with Photoshop and then writing custom code to move it to WordPress. The gallery and other plugins were hand coded by Seota. This website was built with our Partners at BlueMatrix Media.